Logitech has launched a new touch control device for the workplace — which includes video conference room solutions for Google, Microsoft, and Zoom — called Tap. Tap was designed from the ground up for Microsoft Teams Rooms and simplifies the deployment and use of video conferencing in any meeting room. Tap combines the purpose-built utility and build quality of a meeting room touch control panel with the flexibility of a tablet. And it delivers one-touch video calling and simplicity for users. And Tap features a 10.1-inch touchscreen, HDMI input for content sharing, and robust cable retention. Plus Logitech Tap is designed and engineered for reliable convenience in the meeting room. There is a range of table, riser, and wall mounts that offers placement flexibility along with in-wall rated cabling that enables topologies and room layouts that make the setup more organized. 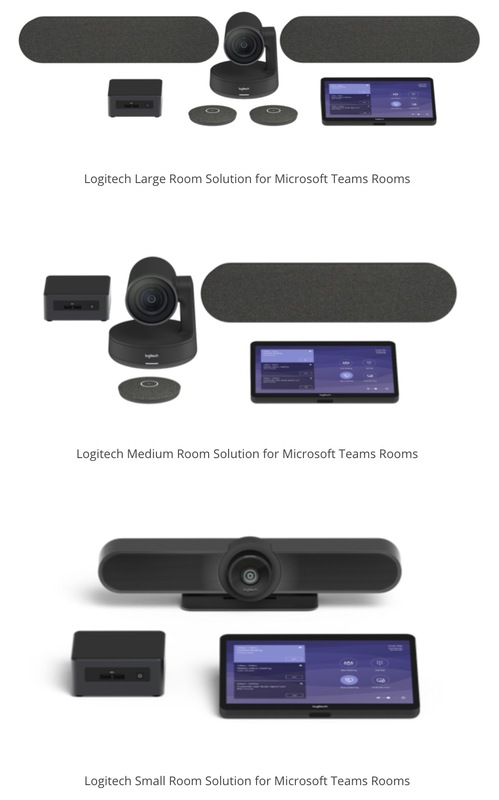 Logitech’s Room Solution Packages for Teams Rooms include all of the necessary components including the Logitech Tap touch controller, a Logitech conference cam system, and a small form factor computer pre-installed with Teams Rooms. The solutions will be available globally from Logitech distributors and resellers this spring. And the packages are expected to range from $3,000 for small rooms, $4,000 for medium rooms, and $5,000 for large rooms. Customers who have existing SmartDock systems can upgrade by purchasing a base package of Tap with small form factor computer.